projekt202 is helping local nonprofits design a better future. 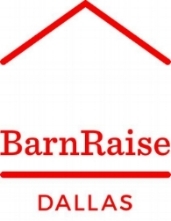 On May 18 - 20, the software design and development firm is taking part in BarnRaise Dallas, a uniquely structured event that connects design leaders, community-based organizations and participants to tackle local social problems. The two-day conference is organized and hosted by Capital One's AdaptivePath.org. Over the two-day period, BarnRaise participants work in multidisciplinary teams. The goal for each group is to develop user-centered understandings of a problem posed by a Dallas-area nonprofit and prototype viable solutions. At an exhibition on Saturday, May 20, teams will gather to share their insights and detailed prototypes with the general public. With the population in the Dallas/Metroplex area set to double over the next 10 years, how might we bridge the gap to provide systems and experiences that support the growth of individuals and communities, especially those who are underprivileged or struggling? Rising to this year's challenge are projekt202's UX Creative Director Josh Christopher, UX Designer Brad Grabowski, UX Production Designer Sarah Leick and Experience Researcher Jessie Webster. The four-person projekt202 team is partnering with Youth with Faces, a Dallas nonprofit that provides youth in the juvenile justice system with the skills needed to break the cycle of incarceration and create positive futures. By giving them employable skills and a much-needed support network, Youth with Faces helps young men and women recognize their potential through critical job, social and life skills. Founded in 2001, Youth with Faces impacts the lives of approximately 200 young people each year. Designers, nonprofit employees, students and those interested in designing for social good are invited to participate. BarnRaise Dallas provides participants with opportunities to network with the greater North Texas design community, expand their portfolios and make a difference in the Dallas-Fort Worth community. To receive 50% off the cost of general event tickets, use projekt202's discount code -- 202 -- at checkout (click the "enter promotional code" link under the ticket quantity tabs). Proceeds from ticket sales will be donated to the participating nonprofit organizations.